This winter season was the 20th warmest on record in Slovakia (until February 15th), however, every tail has a sting. The European land is cooled down after all and mild maritime air is streamed deeply to the Arctic regions at the same time. 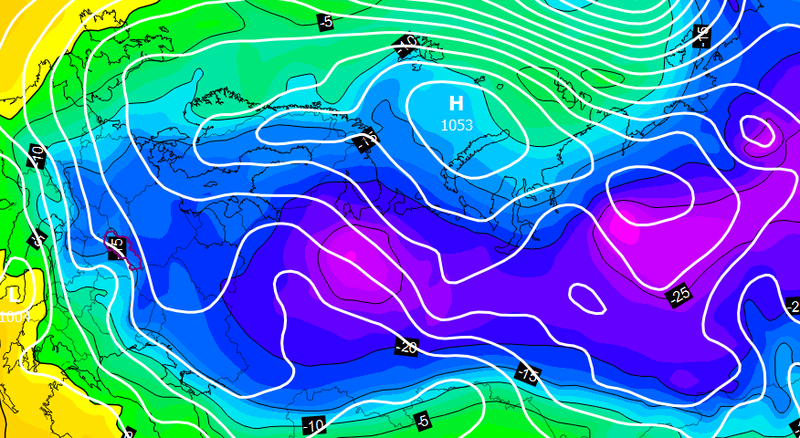 As a response, strong anticyclone circulation over Scandinavia and Barents Sea is developed. Consequently, there is flowing of continental air over the Europe around this huge weather system and this chilled air mass can even reach the British Isles. This type of pressure and temperature field typically leads to even more unusual circulation patterns thus many meteorologists and weather enthusiasts closely watch to every new numerical model outputs.